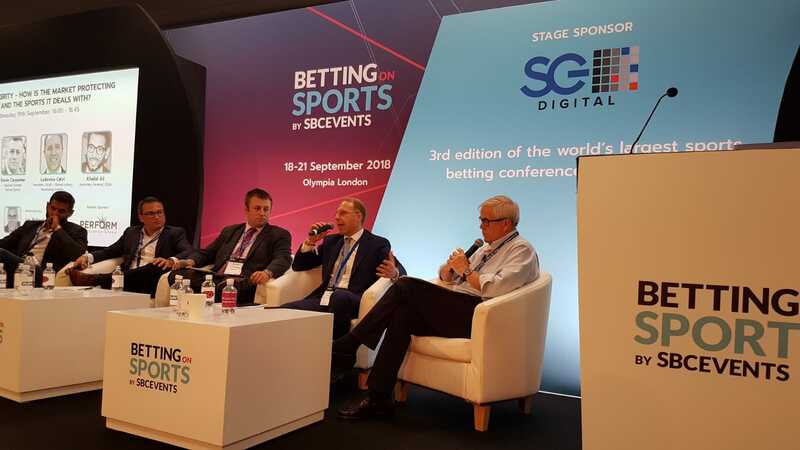 GLMS President, Ludovico Calvi, attended the Betting on Sports Conference on 19 September 2018 in London, UK. Ludovico was part of the high-level panel “Holding Integrity” focusing on sports integrity matters mainly in the US market following the repeal of PASPA. Ludovico welcomed again the US Supreme Court decision of May 2018 which enabled US states to establish their own regulated sports betting and fight, as a result, illegal betting activities. The original Federal intent of prohibiting legal sports betting throughout the US was to preserve sports integrity, but PASPA failed and had clearly the opposite effect by creating a massive and unobserved black market. GLMS President highlighted the importance of a sustainable sports betting market environment in each US state and recalled that it is imperative to establish guidelines and processes to ensure a high level of integrity in all sports by detecting and preventing match fixing. At the same time while it is important to invest resources in responsible gaming, quality work needs to be done to create a sustainable fiscal environment which will enable legal, regulated sports betting to compete against the black market.He highlighted that sports betting patterns need to be effectively monitored and analysed at local and global level and shared with key stakeholders and a monitoring system, such as GLMS, can play a key role in this regard. GLMS strategic guidelines are based on the Council of Europe Macolin Convention, which has the aim to combat the manipulation of sports competitions globally in order to protect the integrity of sport and sports ethics in accordance with the principle of the autonomy of sport.In our opinion, the Convention is by far the most complete international legal instrument available against all types of manipulations of sports competitions. It is truly a complete set of provisions covering all key matters: education & prevention, sharing of information, criminal provisions, conflict of interest provisions, sports betting regulation (including against illegal sports betting), money laundering, fraud, corruption, cross-border judicial co-operation, data protection and human rights.